Fran Prisco and Karen Peakes in Neil Simon’s "Last of the Red-Hot Lovers" at Walnut Street Theatre. Tinder. Grindr. Match.com, and OKCupid — when Neil Simon wrote Last of the Red Hot Lovers in 1969, people actually had to meet IRL (in real life) to determine a potential mate's worth, without prescreening photos or checklists of compatibility. As the Walnut Street Theatre's blisteringly funny production proves, the only thing that hasn't changed in 50 years is the hilarious failure rate of beta schmucks and their female counterparts left and looked over by the sexual marketplace. At 47, Barney Cashman (Fran Prisco) has been married for 23 years. He's a "nice guy living a nice life" who wants to cash in on the burgeoning sexual revolution. So in successive scenes, he invites three women up to his mother's apartment for hopeful trysts to end his decades-long monogamous dry spell. In the original Broadway show, three actresses portrayed the cougarish Elaine, California flower child Bobbi, and staid housewife Jeanette. Here, Karen Peakes tackles all three roles. A wig and a dress change for each scene, and her performance delivers effects hilarious and sublime in accent, personification, and those little frightful laughs or tics that in a different situation might otherwise endear. Thanks to Simon's writing, all three portrayals capture something timeless and unyielding: that last-minute resistance to a potentially unworthy suitor. Prisco evokes laughter in all three situations. In Act 1, as a fumbling first-timer in the adultery game, he pitifully (and in a way that almost appeals) longs for a little romance with an icy pro. By the time he discovers his stride in Acts 2 and 3, he delights with physical humor and with the comedy of being caught off-guard by the type of crazy person supplicating nice guys tend to attract. It's almost like the reverse of a pick-up guide, funny in his floundering, the embodiment of his statement that "life has not always been very kind to me; it has gone out of its way to ignore me." Adam Immerwahr’s direction encourages a quick pace from Simon’s talky scenes. John Hoey’s set design creates an environment more claustrophobic (and suitably so) than intimate, and one that looks ready to travel on the planned tour of this show. 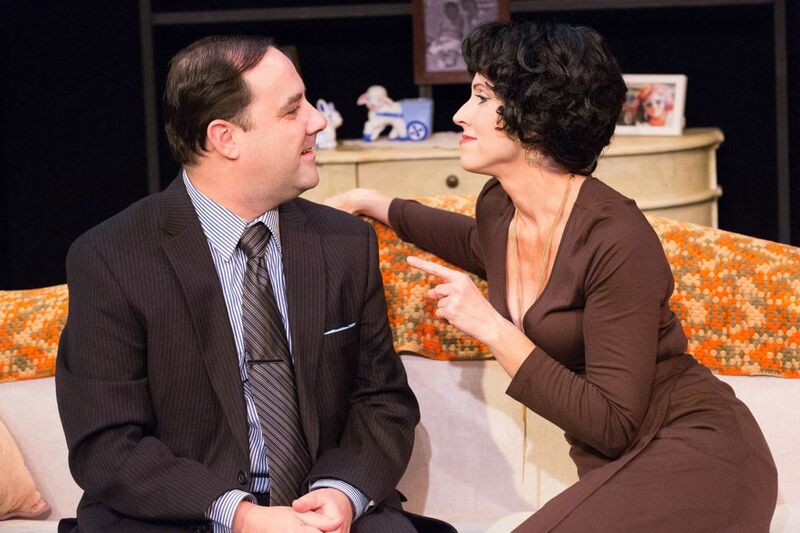 Only Mark Mariani's costumes (Bobbi's dress, Barney's hats) date the play in its 1960s era. Simon's script, by contrast, shows something timeless: a longing to connect, to avoid loneliness, sublimated by rousing humor, but no less removed from our time, despite the conveniences any app or internet might afford. Last of the Red Hot Lovers. Through Feb. 5 at the Walnut Street Theatre Independence Studio on 3. Tickets: $30-$55. Information: 215-574-3550 or walnutstreettheatre.org.